Suitable Tests – In Da House! Optimised Products Ready For You! BBC One Show Features Testing! What DO My Results Mean? What Are the Recommendations?!? Why Anti-Oxidant Capacity? How Does this Indicate Activity? Herbal Materials Testing Service – Measuring the Activity of Your Herbal Stuff! Yuan Y, Wei Y, Yu J, Huang LQ. Dao-di Herbs is specificity and locality, and its unique phenotypic features is closely related to the growth and development of medicinal plants. In addition to traditional genetic, epigenetic play an important role in formation of Dao-di herbs. This paper introduces the concept of epigenetic and the role of DNA methylation in the gene expression regulation. We further prospects epigenetic mechanism in study of Dao-di herbs formation from specific phenotype and regional analysis. And study on the relationship of epigenetic and Dao-di herbs will provide a basis for quality assessment and identification of Chinese drugs. Therefore ensure good cultivation practices like GAP which recognise this. Some of this is also bound up in GAP and GHP – (Good Handling Practice) but can go deeper, particularly again with medicinal plants: Optimal phases and Timing of growth, involve Particular parts of the plant, whether a plant is Wild crafted or Cultivated, whether or not Sustainable agriculture is employed all which can make a significant difference to the final activity of the plant and final anti-oxidant capacity. 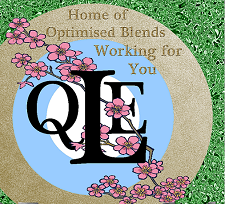 As you can see by regularly testing your medicinal plant materials/end products/ingredients you can establish your own baselines ensuring any of your herbal materials are always consistent in quality, activity and longevity. Once you have a Suitable Test for any sample then any future tests at the same dilution can give you the % deviation from that sample. For each material sent in please state whether each test is to be done in alcohol (ethanol) or purified water or both. Please note one test is needed each time per dilution per medium per material. Dried plant material e.g. Raw.whole herbs, herbal powders, herbal teas, aerial parts, flowers, roots, barks etc. Tinctures Concentration and alcohol content MUST be stated e.g. 1:5 25% ethanol as results will depend on this i.e. dilution made needs to be accurate per mg of material per volume. Creams/Ointments/Salves We can test finished products and their ingredients: Butters, Waxes etc. Please be sure to pack your materials suitably sealed etc., please note any prolonged exposure to excessive heat/cold/humidity etc. may affect the material. We will report any samples that appear to arrive damaged. We Want to Help You: Please note each test is charged for therefore with an unknown material it may be more economical to purchase a number of tests initially so that testing can proceed immediately with further dilutions of the sample. Or you may wish to see/be informed of the initial test result and then purchase more depending on that. This can be done immediately so that testing can proceed in the most efficient way. Where we are familiar with the material and know the dilution which produces a Suitable Test then we will automatically default to that. Please enquire beforehand if we have tested the material before, if you prefer. ← Come Test With Us!